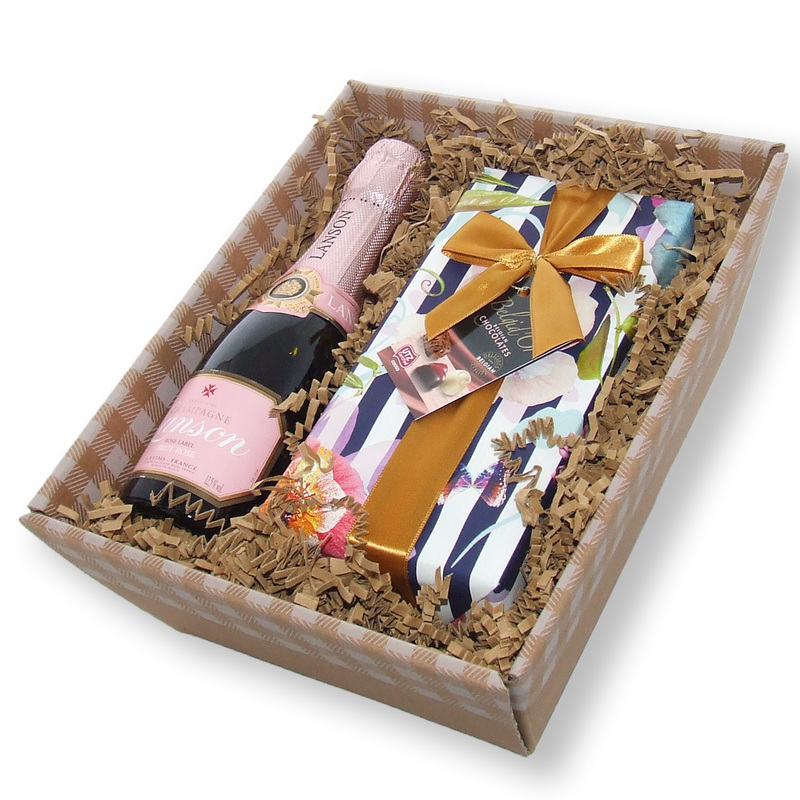 A beautiful hand packed mini Lanson Rose along with a wrapped box of chocolates. Have an evening of pure indulgence or buy and send as a gift. 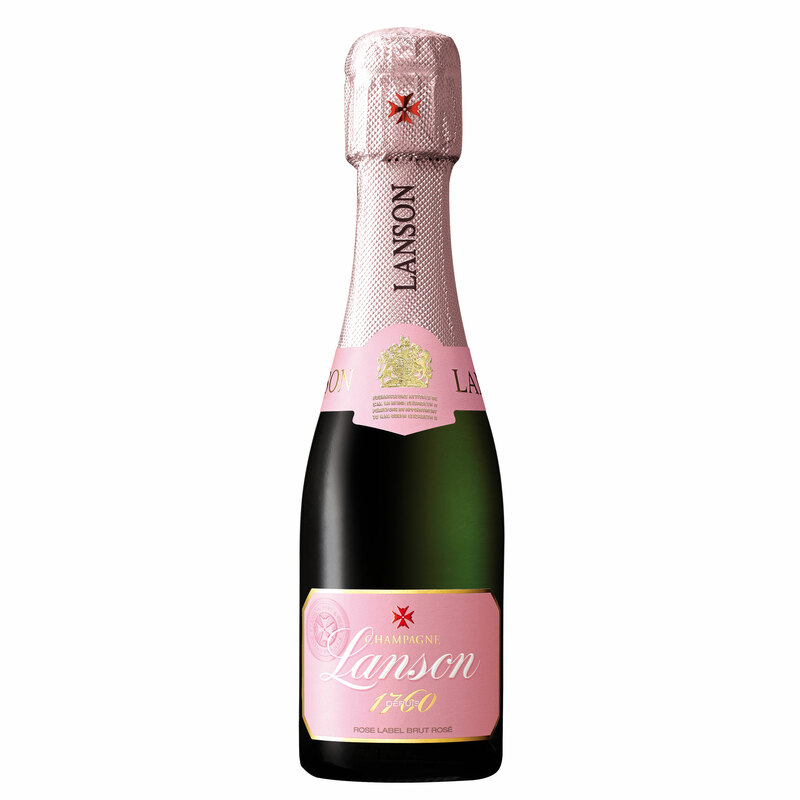 One of the worlds favourite Rose Champagnes, Lanson Rose is fresh and well balanced, pale pink in colour with aromas of roses and fresh red berrys. 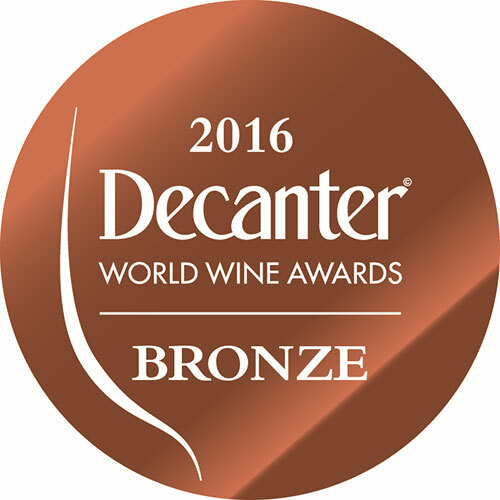 The initial taste is well-rounded, fresh, with a prominent soft fruit and good length on the finish. An assortment of of Belgian Chocolates - floral wrapping may vary.